Strongly believe that our strength lies in our people. Are called from an elite group of veterans in the fields of Trading Services. Are the leading consultancy in Qatar providing the best network to the government and private sector. WHO WE ARE? We For You established in 2010 has developed from a local agent into a world class Middle East public partner services. WFY is a leading consultancy in Qatar providing best network to the government and private sector. We are business partners with over years of experience, a well-connected network, strategic planning, marketing, management, finance, organizational development and operations research. WHAT WE DO? We provide and implement cost-effective, the team has been actively involved innumerous local and international projects in Asia and Europe, as well as the Middle East. We create commercial flows, import and export products, arranging and managing local and international projects with our partners. Supported our network, we are able to integrate all these functions with our fruitful experience. Our numerous competencies allow us to respond to the needs of industries looking for a new market. OUR MISSION Providing quality products & reliable services and sourcing from reputed manufacturers. Committed to delivering exceptional, personalized, and flexible service to our international and domestic customers. We understand our customers needs and will work hard to provide innovative, creative, and low cost solutions. Our Vision Being a globally recognized company established world-wide with an excellence in organizational structure. 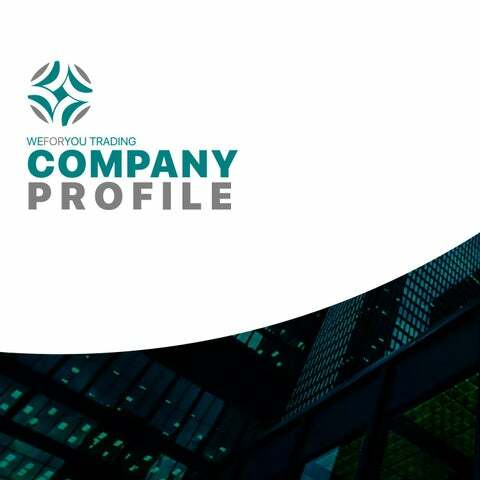 We For You Trading focus is to faster growth and promote enduring business ties with its client and being a well-managed organization, whose members have a passion for progress and a commitment to excellence. EXECUTIVE SUMMARY WFYT is a start-up Limited Liability Company consisting of a joint venture with combined industry experience of 23 years, focused on serving the comprehensive needs of businesses with expert supply chain & logistic services, food and none food products. Our core business makes a valuable contribution to society. Our reputation with these people and the trust they place in our services. We For You Services (WFY), represent over Twenty-three years of progressive leadership within the consulting, marketing, organizational development, operation research and trading industry. WFYT out paces their competitors by delivering customized services based on the consumers need. 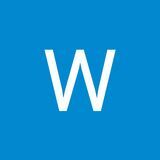 We For You Services W.L.L Consultancy WFY is a leading consultancy in Qatar providing best network to the government and private sector, as well Oil & Gas industry, Petrochemical and Infrastructure sectors. White Oryx Thai Restaurant Food and Beverages White Oryx is a great place to eat, combining an intriguing atmosphere with excellent, interesting, and healthy food.To promote wellbeing, healthy living and harmony with the nature through creating healthy eating habits and balanced diet. Airada Spa Beauty and Wellness Airada Spa embraces the true spirit and tradition of holistic healing by offering an exclusive spa menu that features a comprehensive, yet balanced range of exotic, revitalizing, â&#x20AC;&#x2DC;feel good and look goodâ&#x20AC;&#x2122; treatments that go beyond superficial health and beauty. Chinaware The Richard Ginori manufactory was born through the creative initiative of Marquis Carlo Andrea Ginori, who in 1735 decided to believe in the Doccia area and its potential. Ginoriâ&#x20AC;&#x2122;s production has thus come down through the centuries and today, 280 years later, narrates a history of excellence, tradition and Made in Italy. Each Richard Ginori piece is unique: an attention to detail expressing the know-how and expertise accumulated over time within the very same walls. The graceful, delicate hues of dawn and dusk glisten on the porcelain like a symphony. This is the scenario of the Oriente Italiano Collection on the Antico Doccia shape where creativity and color converge to create a magnificent pattern. A beautiful palette creates richly balanced compositions: blue on a background of light blue, yellow, green or pink; black against ice or green; burgundy on pink; white on light blue; and rose on light pink. The collection comes in a complete array of tableware as well as tea and coffee sets. Contessa Collection Colour is instantly captured on the white Impero shape, imparting exceptional beauty. The decorative process consists in removing the excess colour with the same incredible precision as hand painting, making room for trim in fine gold, platinum or the purity of Richard Ginori white. A palette of black, yellow, green and blue underscores the pieces from the Contessa Collection. The collection features a complete array of tableware as well as tea and coffee sets. The decoration, inspired by hand-painted prints from the Richard Ginori archive, takes centre stage. These drawings featured in authoritative nineteenth century botany publications, skilfully reproduce twelve different scenarios of hummingbirds and other birds on festoons framed by floral motifs delicately highlighted by pure gold edging. MAREA and its array of items is a collection of large tasting plates, a sharing plate and multifunctional dishes for a truly theatrical presentation. Established in 1826, Deshoulieres became year by year the leading French porcelain factory for up market tableware. It is a story across almost two centuries of dedicated passion for the unique material which is Porcelain. A passion handed down through the generations providing the energy for the growth of the Company which has today some 280 employees still fully committed to mould its successful development. An excellent industrial expertise, everyday contact with our clients whether they are consumers or professionals, a passion for the French culture around the table, state of the art table top products...these are our "mottos" that drive us forward everyday to create the most desirable collections. A sumptuous decor, all embossed gold or platinum, for this magnificent table service, where scrolls and acanthus leaves spring from the material like jewels on a crown. Large black nets or platinums emphasize the elegance of white plates and reveal their contemporary line for a graphic table. Chinaware Arc International is now the world tableware leader.The Group operates in five continents through production sites, distribution networks, coordinating offices and owned points of sale. Originating from Arques, in the Pas de Calais region of France, Arc International has a payroll of 10,350 staff worldwide and retails decorative tableware items in over 160 countries. Since 1947, our mission has been to design and manufacture flatware and holloware using only the finest materials and finishing techniques. With over sixty years of professional food service industry experience coupled with modern utilitarian design we offer a complete range of i nnovative and contemporary products that are instep with the latest trends, Our products are designed and made in Italy in our own country. We have complete control over the design and manufacturing process and therefore can offer our customers unparalleled service and the utmost quality assurance. Furthermore, through our in-house research and development team we offer our customers personalized fabrication including product design, special finishing, logos, etc. to meet our customer's unique requirements. Mediterranea Ice This model and that of the two following pages, are available in ICE version, that means with bru-shed finish surface. The established leader in professional clothing for the kitchen, catering and hotel trades, Bragard has cultivated excellence for over 80 years. Between tradition, modernity and quality, French savoir-faire goes hand-in-hand with a capacity for innovation and creativity at the service of the most demanding professionals. Attentive to cooks in all their diversity, Bragard shares with them the passion for work that is well done and pride in representing an exceptional piece of our French heritage. Men’s kitchen jacket. Stand-up collar and inside in terry-towelling. Snap buttons concealed under placket. Long sleeves with cuffs. Flat pleats on front and inverted box pleats on back. “ B ” logo embroi-dered on left side. Pocket on left sleeve. Embroidered vent eyelets under sleeves. Beige piping on neckline and armhole. Copyrighted pattern. Length 75 cm. 60% cotton, 40% polyester. White. Unisex necklet with beige saddle stitch trim. 100% fine cotton percale. White. Unisex apron. Fancy diagonal shape. White chevron waist ties. Bottom trimmed with beige chevron stitch braid. Copyrighted pattern. 55% linen, 45% cotton. White. Menâ&#x20AC;&#x2122;s kitchen jacket. Officer collar trimmed with piping of contrasting colour. Snap fasteners. Front panel and fancy yoke. 1 breast pocket and 1 pocket on left sleeve. Vented long sleeves with piping of contrasting colour. SPARCO patch by BRAGARD in middle of back. Copyrighted pattern. Length 76 cm. Flame-retardant fabric, 55% modacrylic, 45% cotton. Menâ&#x20AC;&#x2122;s trousers. Elasticized belt. Zip fastener. 2 Italian pockets with white piping. SPARCO patch by BRAGARD on left leg. Copyrighted pattern. Length 90 to 112 cm. Flame-retardant fabric, 67% polyester, 33% cotton, Hemmed bottom. Unisex apron with bib. Waist ties and neck ties adjustable by buckle. Yoke trimmed with white piping. Vertical cut-outs. SPARCO patch by BRAGARD on bottom left. Copyrighted pattern. Flame-retardant fabric, 55% modacrylic, 45% cotton. Blue. H. 90 x W. 70 cm. Garnier-Thiebaut (GT), founded in 1830 in the heart of the Vosges region, has pioneered many of the textile industry’s design and technology inventions for production of fine linens. Today the company’s modern plants in Gérardmer are Europe’s most advanced manufacturing centers for the design, color and production of fashion fabrics notably, table linens, bed linens, and other textile accessories for the hospitality industry and the home. Renowned for its luxurious damask designs, the company sets the tables in the finest hotel and restaurant dining places around the world. Spa Amenities At Gfl we all believe in care that is thoughtful and aware. “Human centered” thinking and passionate intentions drive our actions beyond the surface. We go beyond the expected. We always keep listening to “your” needs to design outstanding and unique experiences. We move beyond the standard. We commit to realize high quality solutions to guarantee safety, uniqueness, comfort, and performance. Iâ&#x20AC;&#x2122;m Anyah, a high quality and eco-friendly amenities collection. I have been created to give you an invigorating boost while totally respecting the environment. YOUR BRIDGE TO INTERNATIONAL SUPPLY!